Best Reviewed Memory Foam Mattresses (2019) - What Is Best For You? I have slept on and reviewed over 30 memory foam mattresses at this point, from the top Tempur-pedic brands to the no-name bed-in-a-box startup. Certain brands and models offer different benefits for people with certain preferences, and I’ve highlighted some models below that are a good fit for sleepers of all types. I don’t think there is necessarily one “best” memory foam mattress, as there are a lot of great mattresses out there and certain ones that are best for certain types of people. I suggest you use my experience as a starting point to decide which memory foam mattress is best for you. Memory foam can be an amazing sleeping surface. The pressure relief it can provide is really unmatched by any other material. While there are some common complaints people have with memory foam (like sleeping hot), there are good reasons why this type of mattress has become so wildly popular. I’ve reviewed a number of memory foam mattresses, with the six below ranking at the top for value, luxury, budget, and comfort. 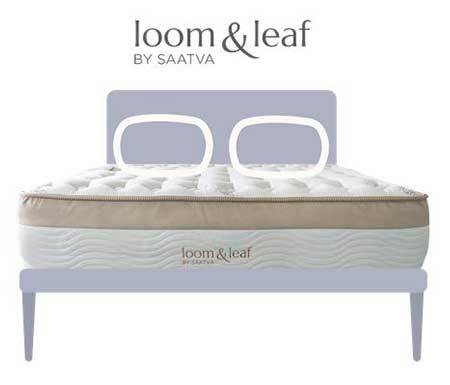 The Loom and Leaf is the most popular and best rated memory foam mattress because it has the specs of a high-end Tempur-pedic, but at a fraction of the price. 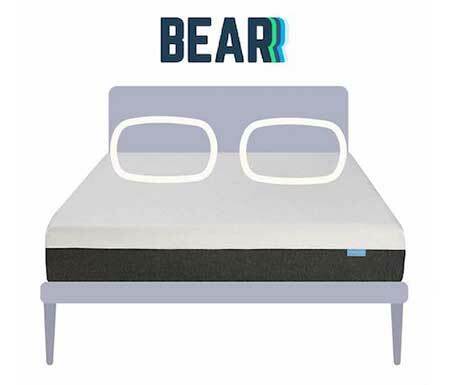 Bear Mattress does the best job of any memory foam mattress with sleeping cool due to its celliant cover and graphite gel memory foam. Zinus provides a good memory foam option that is comfortable, offers good support, and is relatively durable, for a very reasonable price. If you are looking for a nice memory foam feel without breaking the bank, that’s really what Nectar delivers. These mattresses rank amongst my top mattress reviews in general, as well as in specific categories such as the best mattress for side sleepers, and most comfortable mattress. Why These Six Memory Foam Mattress Brands? 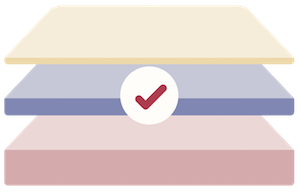 Amerisleep is one of the oldest online-only memory foam mattress brands, and the experience shows. Quite simply they make a mattress that I find to be the most comfortable, with a full line to accommodate sleepers with different preferences. 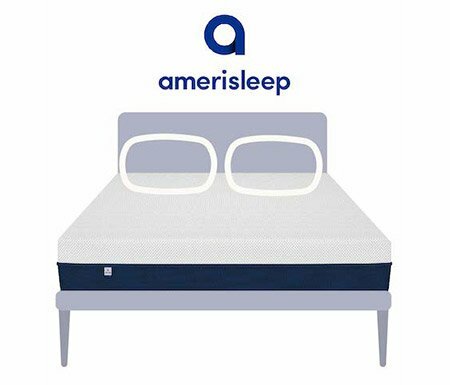 Amerisleep is my top pick because they don’t cut any corners – I believe they deliver one of the best mattresses available. They’re not the cheapest on the market, but they do offer great value. Amerisleep also offers models with cool features like foams that are better for cooling and mattresses with Celliant for athletes. Overall, I think the company takes a smaller margin on their mattresses than other companies do, giving the consumers the maximum possible value. What Makes Amerisleep Stand Out? They use Celliant in their covers. Celliant can potentially give you certain health benefits and provide for a cooler, more restful sleep. They use partially bio-based foams. This gives their mattresses a more “green” edge. They have a line of models built with specific firmness levels and types of sleepers in mind. They don’t believe that there is one best mattress for everyone. 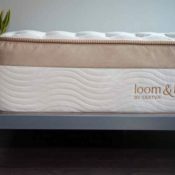 The Loom and Leaf is the most popular and best-rated memory foam mattress because it has the specs of a high-end Tempur-pedic, but at a fraction of the price. You pay for the mattress quality, not the brand name. The mattress has great specs, making it very comfortable and durable as well. It comes in two settings, though it runs slightly firmer than average in general at each firmness level. The mattress has a pretty cool feel where it feels slightly firm at first but then the memory foam kicks in and relieves pressure over a bit of time. The mattress is made by Saatva, which is one of the first companies to start selling (quality) mattresses online. What Makes Loom & Leaf Stand Out? They use quality materials that are more durable than many of its competitors around its price point. This makes the value of the mattress that much more compelling. They use bio-based foams, giving them more of a “green” edge. The mattress has great pressure relief without being too soft. The mattress is thicker than many mattresses around this price point, potentially making it a good match for heavier sleepers. Learn more in my Loom & Leaf review. Layla is a memory foam mattress but has a few unique twists to make it stand out in the very crowded bed-in-a-box market. It is flippable, offering two firmness options – though I found both to be quite soft (relatively). This makes the mattress very comfortable for side sleepers, and a great option for people that prefer a more lush/soft mattress. Layla also has infused copper, which helped the mattress sleep cool (infused copper is used in other types of products, but very few mattresses to date). Speaking subjectively, I simply found the mattress to be one of the most comfortable ones I’ve ever slept on. What Makes Layla Stand Out? It is one of the most comfortable mattresses I’ve ever slept on. It has amazing pressure relief that just feels really great to sleep on. It is infused with copper, which can potentially have certain health benefits. Learn more in my full Layla mattress review. The Bear mattress is incredibly comfortable and uses high-quality materials that you only typically see at a much higher price point. What I like the most about Bear is I think it perhaps does the best job of any memory foam mattress with sleeping cool. This is because of the special Celliant cover it uses and the fact that they use a graphite gel memory foam. The result is a mattress that has significantly higher airflow than other memory foam mattresses. If you are worried about sleeping hot, then the Bear mattress should be one you consider. What Makes The Bear Mattress Stand Out? It uses a Celliant cover (similar to Amerisleep’s), which can have certain health benefits and provide a cooler, more restful sleeping experience. It is a really good value that is hard to rival. 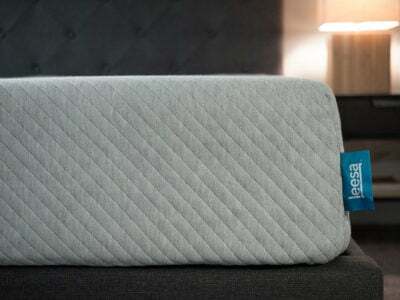 The Bear mattress is a memory foam mattress that sleeps cool and is quite comfortable. You can get $125 off the Bear mattress by clicking the link below and using code CLARITY125 at checkout. The previous three mattresses are some of the best memory foam mattresses that can be made – but that’s not necessarily what everyone wants. This mattress is popular and sold through many online outlets like Amazon, but I’d check out their line on their site for the best deals. What Makes Zinus Stand Out? Their mattresses are excellent options for people who are on a budget. The mattresses are really comfortable, even though they are priced at a low price point. Learn more about their mattresses in my Zinus mattress review. Zinus has a wide selection of mattresses that are really great values. You can get the best current deal on Zinus mattresses simply by clicking the link below. Nectar is a very good value. Depending on the current deal running, you can get a Queen for less than $700. That is quite a deal given that the mattress itself is very solid. At this price point, Nectar might just be the best value you are going to find. If you are looking for a nice memory foam feel without breaking the bank, that’s really what Nectar delivers. 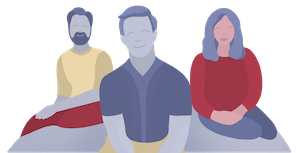 They had delivery issues in the past (getting mattresses shipped out quickly), but that was mainly a result of their initial popularity since launching. I believe those issues are fixed now. What Makes Nectar Stand Out? 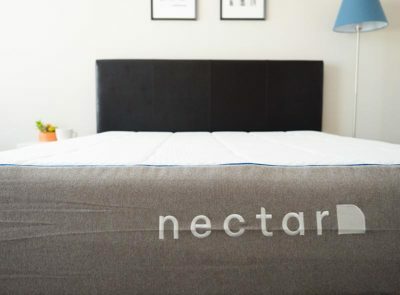 Check out our full Nectar mattress review. Back and stomach sleepers need more support than they do pressure relief. This typically means they want something that is a little bit firmer. You don’t want your hips to sink into the mattress too much when you are on your back or stomach, because they can potentially cause back pain. You want a mattress that allows your body to sink in a little bit but then is supportive enough to hold you up. We think the Amerisleep AS2 is ideal for back and stomach sleepers. In fact, the company designed the mattress specifically for back and stomach sleepers. There’s isn’t too much memory foam where you will sink in more than you should. It is definitely firmer than average. Overall, it’s a very well thought out mattress that we think has a lot of great things going for it. I would strongly recommend that you check out this mattress if you sleep mainly on your stomach or back. We highly recommend the company overall because we like their philosophy that there is no one best mattress for everyone. If you are heavier or just a bigger person in general, you will have different needs from smaller people. With mattresses, this typically means you will want something a little bit thicker and more supportive. You should look at things like the density of the foams used to make sure the mattress will hold up over time. We think the Loom & Leaf is a great fit for heavier people. Overall, it has a thicker profile than many of the other mattresses in this category. The “comfort” part of the mattress is also thicker, making it more appropriate for heavier people. It is a little firmer than average, which is typically ideal for more heavy people. 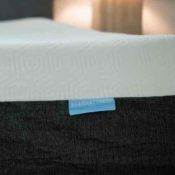 The memory foam that the company uses in this mattress is high-density, meaning it will be more supportive and will typically last longer than lower-density foam. Overall, it’s a great value and something you should definitely check out if you are a heavier person. If you sleep with a partner, you will have additional things you’ll want to consider when purchasing a mattress. First, you’ll want to make sure you can find a mattress that generally fits the preferences and needs of both you and your partner. Assuming you can do that, then you will want to make sure you find a mattress with good motion isolation. Basically what that means is if your partner moves around in the bed, you want to know if your mattress will do a good job of isolating that motion so you don’t get disturbed. 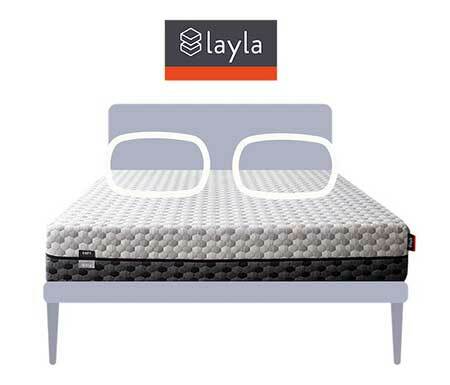 We think the Layla mattress is an excellent option for couples. Aside from being a great mattress in general, the mattress does excel in the category of motion isolation. Instead of just talking about how well it does at isolating motion, check out the video below, which shows how it performs in action. When purchasing a mattress, you definitely want to know that you are getting a great value. Some companies have certain advantages over others and are able to price their products at lower levels to maximize the value that the consumer can get. That is certainly the case with memory foam mattresses. 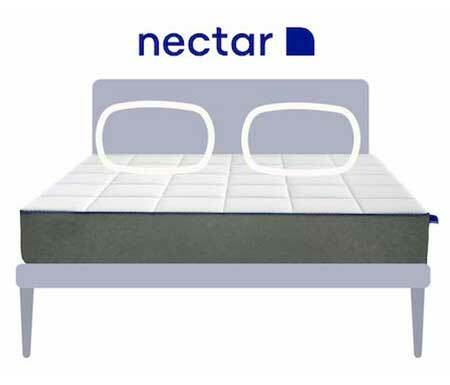 We think the Nectar mattress just might be the best value for the money. They have created a very quality memory foam mattress where you can get a Queen for under $700. 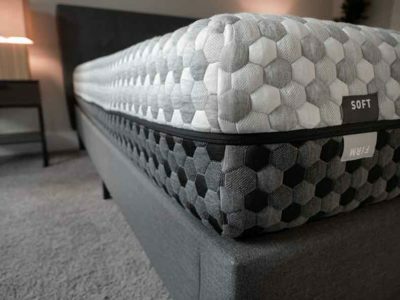 Given the materials and the thoughtful construction, to be able to get this mattress for under $700 is an amazing deal and something that really makes this mattress stand out. You can certainly get a more luxurious mattress, but if you are in the $600-800 price budget range, then you will probably want to take a serious look at this mattress. If you are on a low budget or you think you just want to get a mattress for a couple of years, then there are still some good options out there for cheap. It’s hard to get something that is cheap and made in America, but if you are willing to get a product that is produced from outside the United States, you can find some pretty good deals. 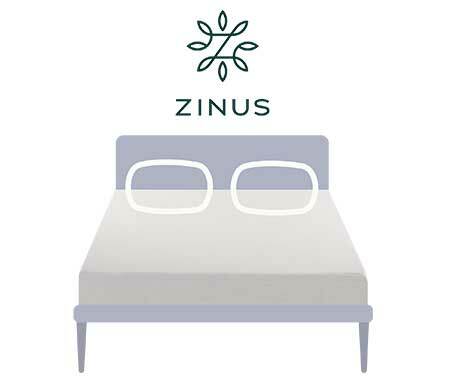 We think Zinus produces the best cheaper mattresses in the memory foam category. They have a selection of a few different types of mattresses, including one with gel memory foam. All the mattresses are going to be less than $500 for a King. That’s a pretty strong deal considering that the mattresses are still pretty solid quality. What’s more, you get to choose how thick you want your mattress to be, as well as the firmness level you would like. Having that kind of flexibility and choice is refreshing to find, especially at this price range. Definitely give Zinus a look if you are looking to get a great deal at a lower price point. Amazon is becoming a bigger and bigger player in the mattress industry. Most companies will make their mattresses available on Amazon, even when it’s just easier to sell through their own website. Having said that, there are some pretty great deals on Amazon if you want to get that route. 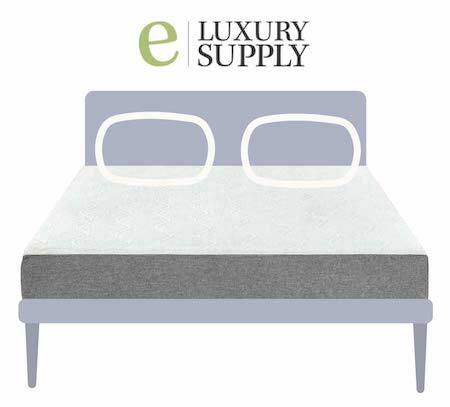 We find that eLuxurySupply’s mattress is a great deal on Amazon. If you look at their listing, you’ll see that they have great customer reviews. What stands out to me the most is how good of a deal it is. You get a 10-inch mattress with 3 inches of gel memory foam. You can get a Queen for less than $700. While you can certainly get a better/more luxurious mattress if you are willing to spend more money, I think at that price range it’s hard to beat that deal. Some people have expressed interest to me in getting a memory foam hybrid mattress. While hybrid can mean a lot of different things, in this particular case I think most people mean a mattress that combines memory foam with springs. There are more and more of these types of mattresses coming out into the market because hybrids can potentially have the benefits of memory foam without some of the drawbacks. I am a big fan of the Tomorrow Sleep hybrid mattress. It aims to provide the pressure relief of memory foam with the support of springs. Overall, it feels like a memory foam mattress, but it is nice to know you have the support and durability of pocketed steel coils. I felt that the mattress did a good job of addressing the issue of sleeping hot and of not having too much of the slow, sinking-in feel. To me, it really did feel like a hybrid mattress and I think a lot of people are going to really like this mattress. 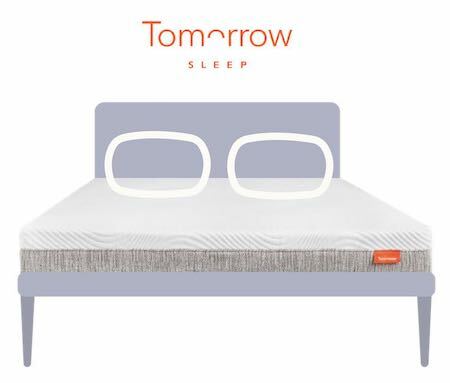 If you are looking to get a hybrid mattress, then the Tomorrow Sleep mattress is a great place to start. What Type Of Person Is A Good Fit For Memory Foam? People who want extra pressure relief may find memory foam to be a great fit. Of all the types of mattresses out there, memory foam consistently stands above the rest in relieving pressure. This may make this type of material a great choice for side sleepers. People with pain issues may find that they really like memory foam. If you have pain issues with your hips, shoulders, or back, memory foam can do a great job of combatting the pain. This is because the pressure relief is so good with memory foam and it conforms to the curves of your body better than any other material, meaning it promotes solid spinal alignment. People who like the feeling of slowly sinking into their mattress will find memory foam to be the perfect match (as compared to the feeling of sleeping on top of your mattress). People who want a mattress that makes no noise will find memory foam to be a great fit. What Type Of Person May Not Be A Good Fit For Memory Foam? People who are overly concerned about sleeping hot may want to look elsewhere. There are new types of memory foam that are more breathable, but if you’re number one issue with mattresses is concern about sleeping hot, you may want to look at other mattress types. Spring and latex mattress, for example, may do a better job with breathability. People who like the feeling of sleeping on top of their mattress rather than slowly sinking into it may want to look at other mattress types. People who want a bouncy sleeping surface will want to look elsewhere. Memory foam has very little bounce to it. What Exactly Does Memory Foam Feel Like? 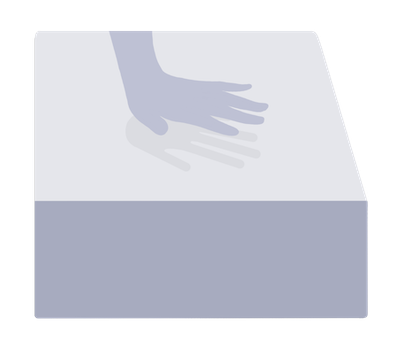 If you pushed your hand into memory foam and then quickly removed your hand, the foam would take several seconds to return to its initial form. The feel is very similar to quicksand where the foam slowly adjusts to your body. You will feel that you are slowly sinking into your mattress. There is almost no bounce at all and it is harder to move around and switch positions in bed. Some people absolutely love this feel, while others don’t like it at all. From my experience, the feel is pretty polarizing. What Makes A Memory Foam Mattress More/Less Expensive? There are typically a few factors that might make a mattress with memory foam in it more or less expensive. If the thickness of memory foam is higher, then the mattress will more than likely be more expensive. If the memory foam used in the mattress is higher density, that typically means the mattress will be more expensive. If the memory foam has been chemically formulated to sleep cool/be more breathable, the mattress will probably be more expensive. How Much Memory Foam Should Be In Your Mattress? It should be noted that not all mattresses are created equally. Some mattresses will have just an inch or two of memory foam, while others will have 4-6 inches. You should take note of how much of this material is actually in the mattresses you are taking a look at. Stomach Sleepers– You won’t want to have too much memory foam because your pressure relief needs aren’t high and you need the mattress to prevent your hips from sinking in too much. For this reason, you should only have 1-2 inches of memory foam. Back Sleepers– You want your hips to sink in a little bit so that the foam can conform well to the curves of your body and your lumbar area can be properly supported. However, you don’t really need that much pressure relief when you are on your side, so just 2-3 inches of memory foam is probably ideal for back sleepers. Side Sleepers– When sleeping on your side, pressure relief is the name of the game. This means you need more “comfort” material, especially if you are a heavier sleeper. For this reason, you may need 3-5 inches of memory foam to get the best sleeping experience. 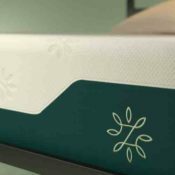 How Does Memory Foam Compare To Traditional Spring Mattresses? From my experience, memory foam provides better pressure relief than spring mattresses do. They also conform better to the curves of your body, potentially helping create better spinal alignment. This can make memory foam better for people with pain issues. Spring mattresses do tend to sleep cooler. This is because of the air space between the coils that allows heat to escape more easily. The chemical nature of memory foam makes those mattresses potentially trap heat more easily. Spring mattresses have more bounce to them. This is a personal preference type of thing, so it doesn’t necessarily make the mattresses better or worse. How Does Memory Foam Compare To Latex Mattresses? Memory foam will have better pressure relief than latex mattresses do. They will also be better at conforming to the curves of your body. Latex mattresses will be much bouncier than memory foam mattresses. Whether this is a good thing is really just up to your personal preference. How Does Memory Foam Compare To Hybrid Mattresses? Hybrid mattresses, in this case, refer to mattresses that combined memory foam in the comfort part of the mattress with support coils (instead of poly foam). This usually means there will be a few notable mattresses between the two types. Hybrid mattresses should be more expensive on average because the coils are more expensive to make than poly foam. Standard Memory Foam– This means memory foam that has not had any additional special formulations. The density range can be 2.5-7 lbs. Standard memory foam will have a slower response and is more likely to trap heat than specialty memory foam. Gel Memory Foam– One of the big innovations in the market has been to infuse gel beads into memory foam. The gel will act as a conductor to draw heat away. This helps make for a cooler sleeping surface. Some studies show that this can be a fairly effective way to prevent the foam from overheating, but the effect may be limited. Plant-Based Memory Foam– Some memory foam has a portion of it replaced with bio-based foam (typically from soy). This makes the foam a little more “green,” even if it is only 25-30% plant-based. Bio-based foam can also be more breathable. 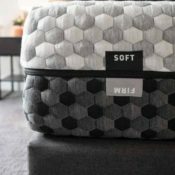 Open-Celled Memory Foam – Some memory foam is more “open-celled,” which simply means the chemical nature of the foam has been altered to be more breathable. More open-celled foam can allow more air to pass through it more easily. Fast-Response Memory Foam– Recent innovations in memory foam has allowed for memory foam that is faster to respond to pressure than standard memory foam. This prevents the feeling of getting stuck that some people complain about. Do These Mattresses Soften Over Time? Typically memory foam mattresses will soften over time. There is definitely a break-in period where the memory foam gets adjusted to pressure and your body. If you feel that the mattress is a bit stiff at first, I wouldn’t worry. It should soften over time. How can you break it in more quickly? You can walk on your mattress and increase the temperature in the room for a period of time. Other than that, you just need to sleep on it for a while and it will happen naturally. Pricier– More materials go into a higher density foam, so almost always you can expect a positive correlation of density level and price. More Durable– Generally, the higher the density, the longer the mattress will last. Less Motion Transfer– The higher the density of the foam, the less motion transfer you will feel. If you sleep with a partner, a higher density foam is more desirable, so you don’t get disturbed if they happen to move around. More Support / Pain Relief– More density means more support. Higher density foam does a better job of contouring to your body. If you have back pain, you will want a higher density foam mattress. What is considered a good density? Well, again it depends. Typically something that is considered “high-density” will be higher than 4 lbs. A “medium density” will be in the 3.5-4 lbs. range. “Low density” will be anything 3 lbs. or less. One of the most common complaints I hear about memory foam mattresses (a complaint that I share personally as well) is that this type of mattress often sleeps hot. This means that the mattress absorbs and retains heat, making the sleeping surface hot, especially later on in the night after you’ve been sleeping for several hours. 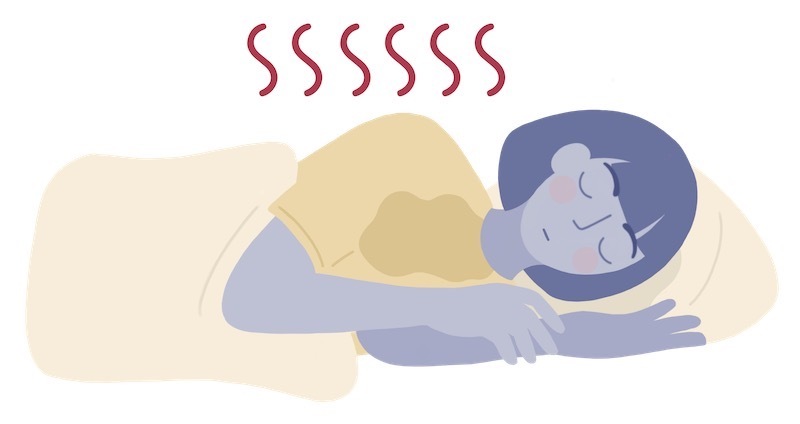 What are the ways companies try to keep memory foam sleeping cool? Using plant-based foam has been shown to be very effective, and so has laminating a layer of gel onto the foam. Some companies use “gel-infused” memory foam, but in most cases that is more marketing rather than based in reality. Companies can also use new “open-celled” foam, which does allow more to pass freely through it. That type of foam is newer and can be effective in helping a mattress be more breathable. Memory foam is made from petrochemicals. No matter the brand, know that your memory foam mattress will possess chemicals (no matter how eco-friendly they claim to be). Even foam that companies claim is “plant-based” is only actually about 25-30% bio-based and the rest made from petroleum. New memory foam mattresses typically give off a chemical smell when they are unboxed. This is called “off-gassing.” It’s not a concern for the long-term, but the smell can potentially last as long as a week, depending on the mattress brand. With some mattresses, the smell is very faint and completely goes away within 24 hours. I wouldn’t be concerned about this if I were you. You can open some windows to help the smell dissipate faster if you are worried about it. Higher quality memory foam mattresses have a more resilient feel to them. Lots of people complain that they feel that they “get stuck” in memory foam and have a hard time moving around or getting out of bed. Memory foam typically takes a while to react to movement. This isn’t optimal for some people’s preferences, and if this is is a big concern for you, I would consider a latex mattress as an alternative. Latex has many similar properties to memory foam, but has more “spring” to it. 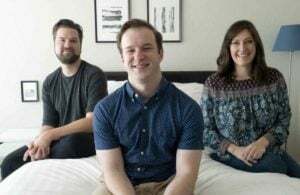 A new popular construction is latex over memory foam, with a lot of the new startups (like Casper or Ghost Bed) trying to get the benefits of both materials in one mattress. The best way to get a deal on a memory foam mattress is to order online. Since the mattress is all foam, it can be compressed and shipped from a factory to your door, cutting out the middlemen and providing savings for the consumer. There a lot of online-only brands, as well as mattresses sold through large online e-commerce sites like Amazon and Walmart (like Signature Sleep Memoir 12″). If you are buying through a retail store, I suggest waiting for a sale. Labor Day and President’s Day are big days for mattress sales, where you will see up to 70% off some of the big name brands. Final note on getting a deal – higher quality mattresses will last much longer than lower quality ones. If you purchase a cheap low-quality mattress, you may save money in the short term, but you may find yourself shopping for a replacement sooner than you had hoped. Take a look at my recommendations, and understand the WHY behind the recommendation. Whatever memory foam mattress brand you end up going with, make sure you consider the points outlined above and consider your own sleeping preferences in the process. which was the only “bed in a box” brand they carried, was a great feel but I have been looking at several online mattresses as well because they offer a trial without any delivery/restocking fees….The Amerisleep AS3 or AS4, The Nectar, and The Casper Wave. I really like the concept of The Wave, but because of its newness, their are not alot of reviews. I’m not afraid to invest in my health and a great night of sleep. Looking for a little help if you can…. I wrote an article about best mattress for back pain. See it here, https://www.mattressclarity.com/reviews/best-mattresses-for-back-pain/. Thank you for reviewing these mattresses. I found the video very informative and helpful. I have pretty severe hip pain from a previous fracture (about 25 years ago) that causes me to toss and turn all night. I’m looking for a mattress that will allow me to sleep on my side, back, and stomach without feeling any pressure and without the feeling that I’m sinking into the bed. I’ve tested the Nectar for a few nights at a friend’s and even though I found it super comfortable (in comparison to my current bed), I woke up with slight back pain. I think it may not have been firm enough. I’m wondering if you might recommend something better. Thanks in advance for you advice! Take a look at the original and new purple mattresses. They could be a good fit for you. We have an adjustable bed. Is this a good application for a memory foam mattress? Do some brands adapt better on these beds? Does it take a firmer foam to accommodate the extra weight concentrated on the hips when bed is elevated? I’m 190# and she’s 130. Do you have a recommendation for the mid to upper price range? Thank you! Yeah, memory foam mattresses should do just fine with an adjustable bed. The loom and Leaf sounds great for me. I am a 73 year old 155 lb man with minor lower back issues. I go to sleep on my side but always wake up on my back. I had a temporpedic cloud but after a year or so began waking up with awful back pains. I did some research and decided to replace my mattress with a Nest Alexander Medium. Most of the morning back pain is gone but I feel I need something slightly firmer(1 to 1.5 points of firmness) The Nest firm is too much of a jump. I do not want a mattress made in China, or one that feels like putty or sleeps hot. What should I be lookin at for my winter home? Try the Loom & Leaf then. We owned 2 firmest type tempurpedic beds at home and can never go back to sleeping anything else other than memory foam beds. We are looking to buy another memory foam mattress for another bedroom but don’t feel like speeding a fortune for another Tempurpedic. 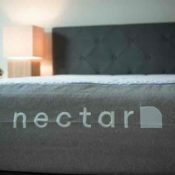 Nectar looks like a good value but our question is, is it comparable to the firm type Tempurpedic? We are side and back sleepers, both weight less than 180 lbs, we don’t sleep hot and like firmer feel on our memory foam bed. If nectar not a good match, what would be your recommendation? Thanks. I would look at the Loom & Leaf. I tend to move around and sleep on all four sides. My back and hips are a problem. What do you recommend? Great article above, but still not sure. Thanks for your help. How much do you weigh? What is your budget? I’ve read many of your comments and readers comments. But the one thing I haven’t read yet is your opinion for heavier sleepers. I mean those of us 200 pounds plus? How do these mattresses handle two 200 lb adults? 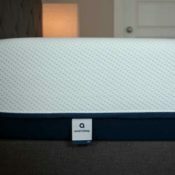 Check out this article on the topic here, https://www.mattressclarity.com/reviews/best-mattress-heavy-people/. I’m not sure about this actually. 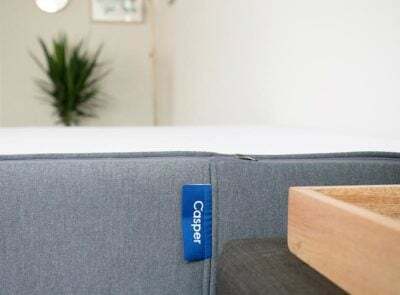 I’ve tried both the Casper and the Amerisleep AS3 mattresses and find the Casper to be much cooler but the AS3 to be more comfortable. I have a 9 year old TempurPedic base model mattress with no pillow top or cushioning. Lately it seems like sleeping on cement to me. It hurts my hip joints especially. I’m a side sleeper and 64yo. I realize my joints are older too. Mattress seems to be in good shape. Don’t know what a good replacement might be. Sealy Cocoon appeals to me. Your thoughts? The Layla soft side could be a good option for you. Bought a high density foam on Amazon, in 2016 @ Christmas. I forget the brand right now. It literally crumbled in the Hawaiian salt air after about one year. Is this common? Costco is selling a MF mattress (and bed) under the label Blackstone Queen Set 12” Memory Foam Mattress. One review said it was made by Zinus. Is that so and if so, do you know which Zinus model is it? I’m 145 lbs and a stomach and side sleeper. Thanks. Hi Joe, Cost aside, how would you rate Zinus vs. Casper? I personally like the Casper better, but it does cost more. I don’t see any reviews on Tuft and Needle? Any comments on their mattress? Amerisleep AS2 or AS3 would be a great fit as they are on the firmer side. Amerisleep does an excellent job of not sleeping hot as well. Do you have comparison between the Leesa and Layla? I believe I prefer a softer mattress as I’ve always loved the fluffy/soft comfort of a feather bed or memory foam topper. I tried the Purple mattress for 90 nights and hated it, it causes so much neck and especially back pain and was very bouncy with a ton of weight transfer. Thanks for your input! I do have a comparison. See here, https://www.mattressclarity.com/reviews/layla-vs-leesa/. I initially want to buy a Brooklyn signature but they just change it to a hybrid with coils. I am now thinking about Ghost bed or Helix. Can you help me pick the suitable one for me. I like the plush felling of the quilted top. I like the bouncy feel of latex. Average weight, sleep on back or side. I have some lower back pain sleeping on my current Ikea foam mattress. I bought a Zinus. I am a side sleeper and it is a little bit too hard. You mention above that Loom and Leaf memory foam comes in 3 levels of firmness and that is false. It only comes in 2 levels of firmness and now I question your review. Tempur-Pedic comes in 3 levels of firmness not Loom and Leaf. Are you sure you’re evaluating the Loom and Leaf? How do we determine what the density is on a foam mattress? A good portion of the companies will say what their specs are on their website. Thank you for the helpful reviews. Your website is amazing. Anyone who is looking for a mattress should read your article. We’re a new mattress company named Suiforlun who sells on Amazon. Would you like to test our mattress? Thank you for your time. How would you rate the firmness of the Bear mattress? This person is primarily a back sleeper, about 150#, female for a full size bed. Would the Bear likely be a good choice? It’s slightly firmer than the average mattress I’ve reviewed. I would say maybe 7/10. Take that with a grain of salt as people have different opinions on firmness. I do think it would be a good fit for you. Is there a medium price (approx $500-700 range) memory foam mattress for a back sleeper that meets the your density standard? Zinus is too low, Bear has no firmness options, Layla too soft, other 2 high priced. I haven’t reviewed any yet that would meet the price range and density quality for a Queen. What do you recommend for children ages 14,12, and 9? Recommendations based on age would be no different from anyone else (within reason). It depends on their weight, sleeping position, and general feel preferences. I would need to know that versus their age. I am looking for a firm ‘box mattress’ that you do not get ‘stuck or sink into’ that does not cost a fortune (seen some online for $1200). What would you recommend? Do you want memory foam though? Thank you for the enlightening article. For someone new in the “foam mattress” shopping experience it is a bit daunting. This article gives me enough insight to at least feel comfy jumping in. My wife has a bad back and hip so we need a change. Which foam mattress companies offer satisfaction guarantee? With so many options and not be able to “try out” most of the mattresses, I’m concerned about buying one that is not satisfactory. All these companies have really great sleep trial periods and return policies, so the risk should be pretty low in getting one. Thanks for the extensive reviews. No other websites have this detailed review on the variety of mattress. I and my wife have back pain (sometimes severe) so we are looking for the firm mattress, currently, our budget is lesser from $500 – $700 for King size, usage might for a shorter period 2-3 years. I think for this budget can’t get Latex, Memory foam will work out right?? I saw the Zinus model, but is that worth it? Also how about the mattresses in Ikea? Also saw about Signature Sleep 12 Inch Memory Foam Mattress, King you mentioned. Suggest me which one we can go for. Zinus mattresses are a great value. They also have firmness options, so I think given your budget it could be a great fit.